Wynne Palermo is a REALTOR®, community volunteer and activist. 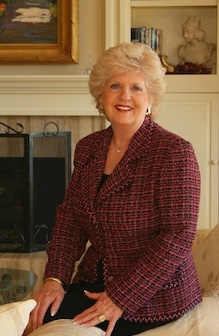 She founded WYNNE Realty, Ltd. in 1985. Wynne has been named REALTOR® of the Year, one of 25 Most Influential People in Real Estate in Colorado Springs and one of Colorado Springs 25 Most Dynamic Women. She’s a recipient of the American Red Cross “Help Can’t Wait” award. Wynne is a graduate of Colorado Springs Leadership Institute at The Center of Creative Leadership, a member of the Chancellor’s Roundtable for UCCS and advisory member of the Board of Directors of Pikes Peak Library District Foundation. 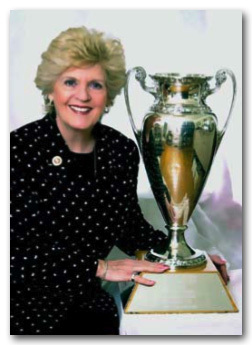 Wynne served an unprecedented second term as Chairman of the Board of Directors of Pikes Peak Association of REALTORS®. She also serves on the Board of Directors of Colorado Association of REALTORS®, is a Board member of UCCS University Club in addition to Goodwill Industries of Colorado Springs. Past volunteer consultant to Mercy Housing Colorado, Inc.
Certified International Property Specialist Network - is the specialty membership group for international practitioners of the National Association of REALTORS®, the world's largest professional association. The CIPS Network is comprised of 1,300 real estate professionals who deal in all types of real estate, but with one common element: they are focused specifically on the "international" market. Whether traveling abroad to put deals together, assisting foreign investors, helping local buyers invest abroad, or serving an immigrant niche in local markets, CIPS members are the consumer's best resource to ensure they are dealing with a professional skilled in the unique aspects of international real estate. Just 5% of all REALTORS in the US can call themselves Certified Residential Specialists. That's because just one in 20 has the extensive experience, the unique commitment and the hours of advanced training. A rare combination of experience and education makes a Certified Residential Specialist more than just another real estate agent. But it's the ability of this professional to make a real difference in the purchase or sale of your home that makes Certified Residential Specialists among the best in the business. Discover the difference for yourself. And discover how enjoyable and successful a real estate relationship can be. When you contact a real estate firm managed by a CRB, you know you will be greeted with the extra care that comes with proven expertise. The Certified Real Estate Brokerage manager (CRB), awarded by the Real Estate Brokerage managers Council, is a professional designation earned only by real estate brokerage managers who are dedicated to pursuing a management education of the highest order. CRB's must complete the rigorous, comprehensive CRB management Series and have proven management experience. in other words, not just anyone can display the CRB Designation after their name. It is reserved of only the most dedicated, conscientious and highly skilled managers.